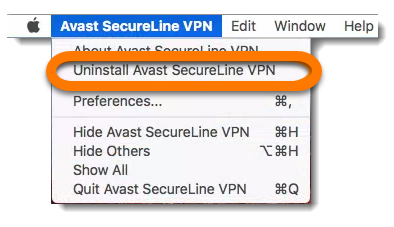 To remove Avast SecureLine VPN from your Mac, you need to uninstall it from the program's menu bar. Deleting or moving SecureLine VPN to the Trash does not completely remove the program. Click Go on the menu bar and select Applications. Then double-click the Avast SecureLine VPN icon. Click Avast SecureLine VPN on the menu bar in the top-left corner of the screen and select Uninstall Avast SecureLine VPN. If prompted by the permissions dialog, use your Touch ID or enter your administrative user name and password, then click OK ▸ Quit to complete the uninstallation and exit. 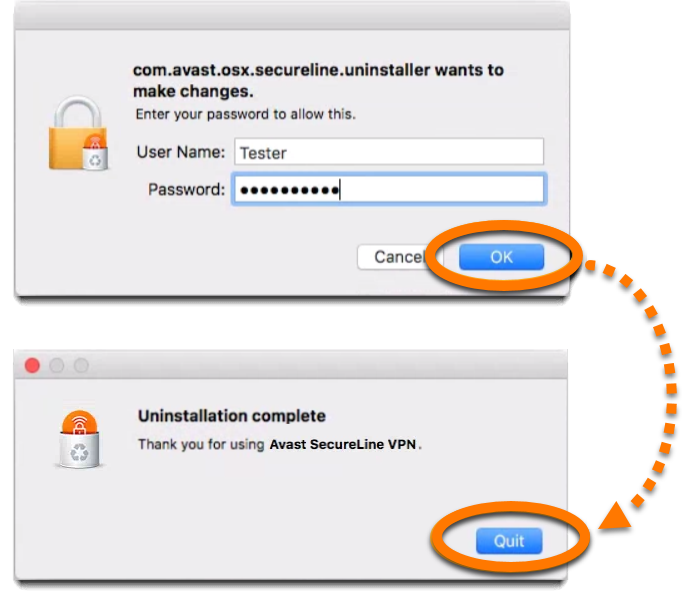 Avast SecureLine VPN is no longer installed on your Mac.